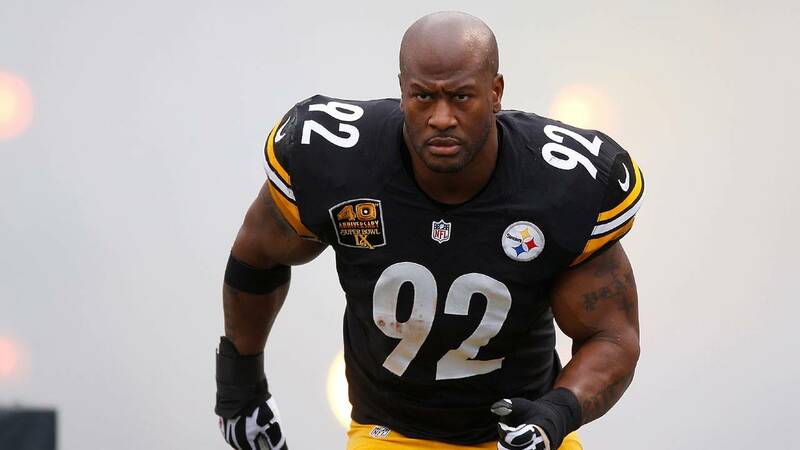 Longtime Pittsburgh Steelers linebacker James Harrison is walking away from the NFL for a second time. Harrison, 39, announced his retirement with an Instagram post Monday that featured photos of his children. "I've missed way too much for way too long...and I'm done," he said in the post. "Many thanks to my family, coaches, the fans, and everyone who played a role in my football life." He added the hashtag #2ndAndFinalRetirment to the post in reference to his brief retirement in August 2014 before returning to the Steelers the following month. Harrison, who will turn 40 on May 4, played for the Steelers most of his career, starting as an undrafted rookie who spent most of his time on the practice squad in 2002. He then spent some time with the Baltimore Ravens and the NFL Europe's Rhein Fire before ending up back with the Steelers in 2004. He spent the next nine seasons with the Steelers before leaving as a free agent for the Cincinnati Bengals in 2013. After his comeback from retirement, he spent three full seasons with the Steelers, but struggled in his fourth season back with the team. Pittsburgh cut him on Dec. 23, 2017, after he had played in only five games and been a health scratch much of the season. Harrison finished off the 2017 season with New England, helping the Patriots to Super Bowl LII, where they lost 41-33 to the Philadelphia Patriots. He was named the 2008 NFL Defensive Player of the Year and was a five-time Pro Bowl selection in a career that saw him collect 793 tackes, 84.5 sacks, 34 forced fumbles, eight fumble recoveries and eight interceptions. Harrison also was a part of three Super Bowl teams with the Steelers, winning it twice, including in 2009 when he capped of the first half of Super Bowl XLIII with a memorable 100-yard interception return for a touchdown.